Now a lack of funds doesn’t have to keep you from getting the products and services you need. Our financing program is fast, easy, and affordable. Because why wait? We can approve a wide range of credit scores. And more approvals mean more ways for you to receive exactly the right kind of chiropractic care you need. 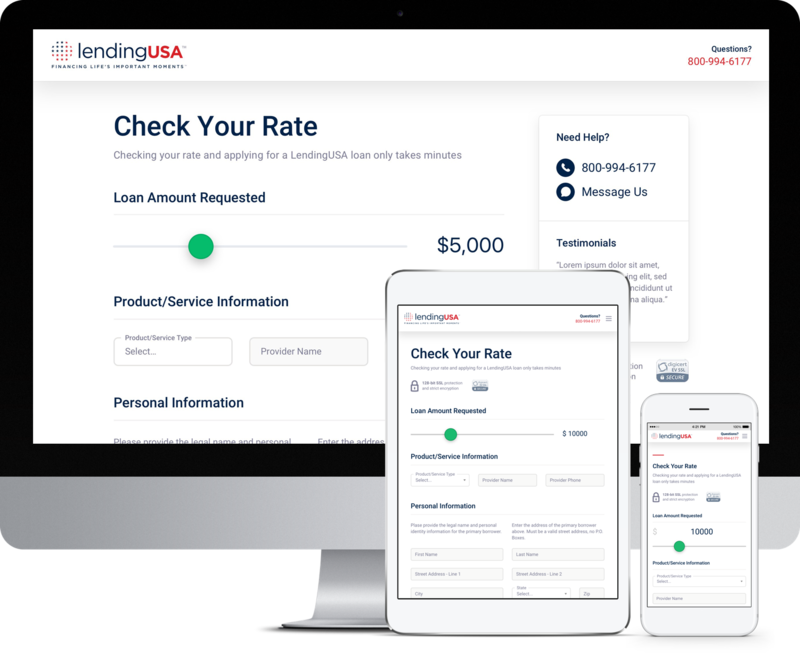 Unlike credit cards, LendingUSA offers fixed payment amounts with fixed terms. This gives you greater control over how you manage your monthly expenses. It also allows you to pay no interest on principal if paid in full within the first six months of your disbursement date*. You won’t be penalized for exploring your options, so there’s no reason to delay. Now is always the best time to finance life’s important moments..